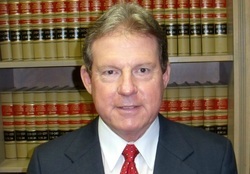 At Moore, Giles & Matteson, LLP we bring more than 50 years of combined legal experience to every case we handle. Whether you need to establish fair and equitable spousal support, have been denied your Social Security benefits or are feeling vulnerable after a workplace accident, we have the strong trial orientation and skills to tackle the most complex cases. Our firm is composed of experienced attorneys who are always prepared for any contested matter and have successfully represented clients in federal and state courts. We aim to secure just and economical results tailored to our clients' needs. Attorneys Marshall Moore and Greg Giles have been in practice together since 1987 and each has been awarded the BV Distinguished Peer Review Rating by Martindale-Hubbell for their professionalism and ethics. Regardless of your legal dilemma, we are here to provide a solution that protects your rights and that aligns with your unique legal objectives. 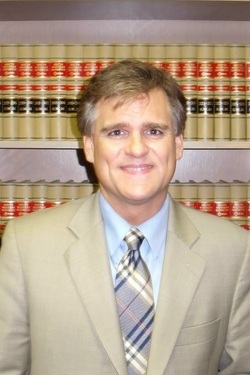 We have experience handling a variety of cases including: -Family law -Divorce -Child custody -Child support -Domestic violence -Visitation rights -Adoption law -Arkansas workers compensation -Social Security Disability benefits -Personal injury -Automobile accidents -Head injury -Spinal injury -Wrongful death -Criminal law -Estate law -Probate Texarkana, AR lawyers compassionately and ardently serving you: While no law firm can guarantee a favorable result, we are aggressive and committed to fighting for your interests and minimizing any negative consequences. Throughout the years, we have helped our clients obtain reimbursement for monetary damages that have resulted from another's careless negligence. And we possess the valuable negotiation and arbitration experience to resolve your most sensitive family and divorce law issues without the added emotional and financial strain of trial. We have also assisted our clients through the process of submitting their Social Security Disability claims, including helping them present the necessary medical records, in order to increase their chances of obtaining their benefits. In cases where those claims have been denied, we continue to represent clients upon appeal. Moore, Giles & Matteson LLP will represent your Personal Injury legal matters. Mr. Moore is BV Distinguished Peer Review Rated by Martindale-Hubbell for his professionalism and ethics. Mr. Giles is BV Distinguished Peer Review Rated by Martindale-Hubbell for his professionalism and ethics.